Sant'Antonino is a village situated in the centre of the Balagne region of north-eastern Corsica, south-west of L'Ile Rousse. Because of its dramatic situation clinging around the top of a hill the village is sometimes referred to as the 'Eagles Nest'. Sant'Antonino is officially classified as one of the 'most beautiful villages in France'. 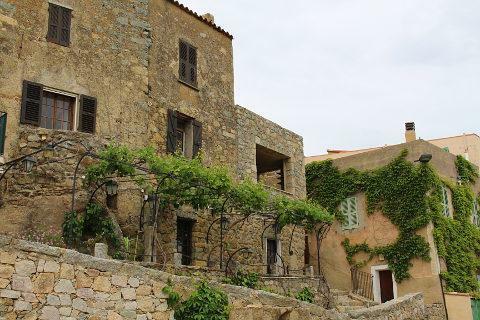 It has a history dating back to the 9th century - the location was originally chosen because of its natural defences - making it one of the oldest villages in Corsica. Much of the village is a warren of narrow lanes, steep pathways passing through vaulted passages, and ancient traditional houses, making Sant'Antonino a pleasure to explore. 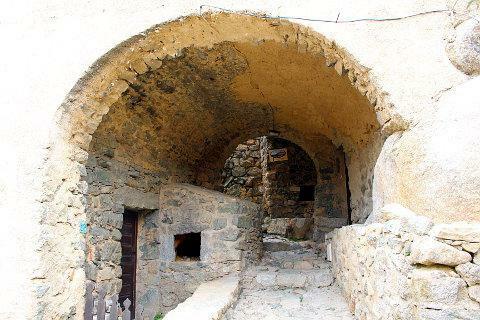 The narrow streets occasionally give way to little highlights - a small courtyard, a small chapel, a bread oven or other interesting architectural feature - adding further to the traditional character of the village. One of the most imposing monuments is on the edge of the village (next to the car park - the village itself is not accessible to vehicles). The Church of the Annunciation dates from the 11th century, and has a tall belltower on four levels. Inside you can see several 18th century paintings. On a smaller scale, perhaps our favourite religious monument here is the small Lavasina Chapel, a very traditional little building on the Piazza Savelli Spinosi. Generally it is not for particular attractions that the village is so popular but the paved paths, the tall stone buildings, the cactus and agaves that line the paths and the general air of having stepped back in time are what make this popular. Oh and the gorgeous scent of the surrounding 'maquis' or scrub which includes lots of curry plants whose lovely scent is always in the air. 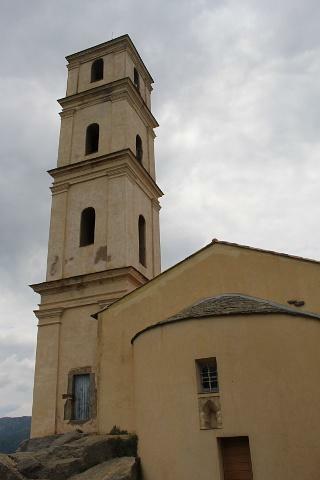 These highlights, along with the location and relative accessibility of Sant'Antonino, make the village unmissable if you are staying in this region of Corsica, for both you and the many other tourists who also come here each year - so visit early in the day if possible, for a quieter experience. There are a few small cafes and restaurants to choose from in the village center. 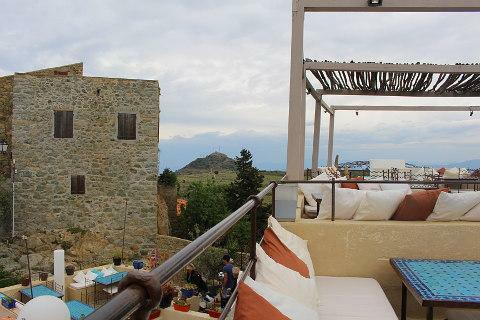 We particularly liked this bar/restaurant, 'I Scalini', with a Moroccan feel roof-terrace and fabulous views over the village and the surrounding hills. It also has a very interesting toilet! 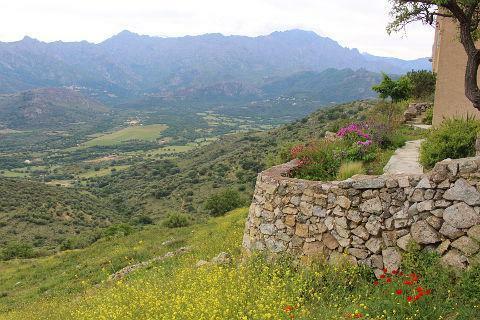 The views from Sant'Antonino are, not surprisingly, exceptional, and extend beyond the countryside to the resorts of Calvi and l'Ile Rousse and far out to sea, or inland across the Balagne region in the other direction. Whilst Sant'Antonino is the prettiest of the Balagne villages a tour through some of the other villages makes for a pleasant day out. Especially if it is very hot and you need a break from the beach. See our Balagne guide for some of the other villages to visit. 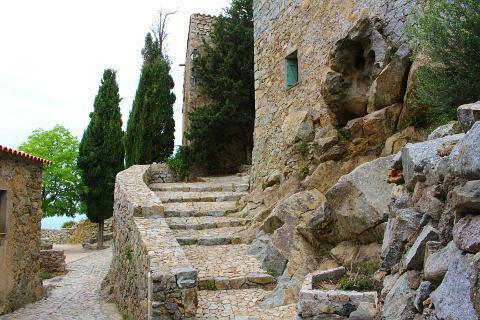 Lumio is a hilltop village overlooking the Golfe de Calvi. 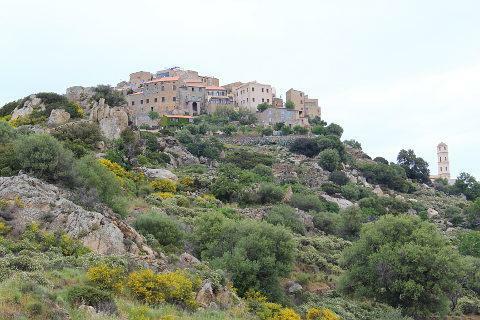 The village is surrounded by olive trees and the beautiful 'maquis' scrub land.